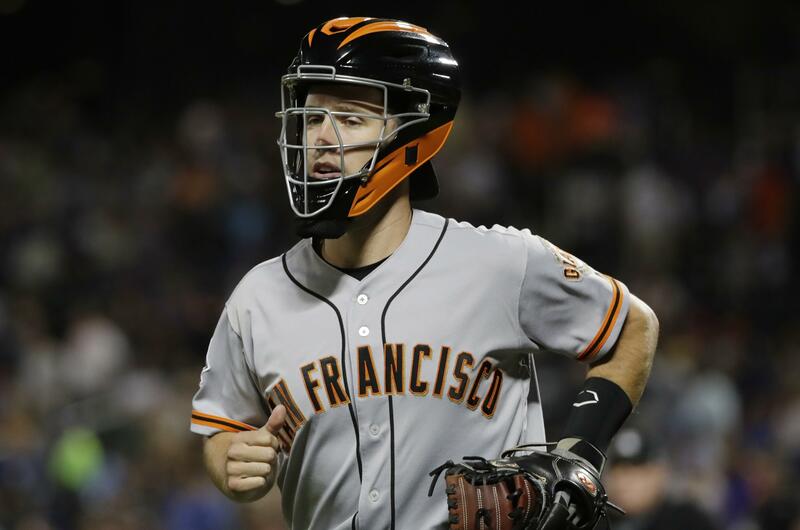 Sat., Aug. 25, 2018, 8:09 p.m.
SAN FRANCISCO – San Francisco Giants catcher Buster Posey will undergo hip surgery Monday in Colorado, ending what has been a painful and frustrating year for the six-time All-Star. Posey revealed the decision to have the season-ending surgery following Friday night’s loss to the Texas Rangers. Manager Bruce Bochy confirmed it prior to Saturday’s game. Posey is expected to fly to Vail, Colorado, on Sunday and will have surgery the following day. Orthopaedic surgeon Marc J. Philippon will perform the operation. Posey has been playing in pain for much of the season and it showed both in his numbers at the plate and in how he ran the bases. The 31-year-old went into Saturday hitting .284 but had only 41 RBIs and five home runs – his fewest since 2011, the year before Posey won the N.L. MVP award. He is expected to be out 6-to-8 months. Published: Aug. 25, 2018, 8:09 p.m.